I’ve said it before, and I’ll say it again: the iPhone is an awesome gaming device, and I’ve seen cases where it’s used as a gaming device more than as a phone. And look at what E3 2014 has shown us – loads of MFi game controllers. That does support my premise, yes? 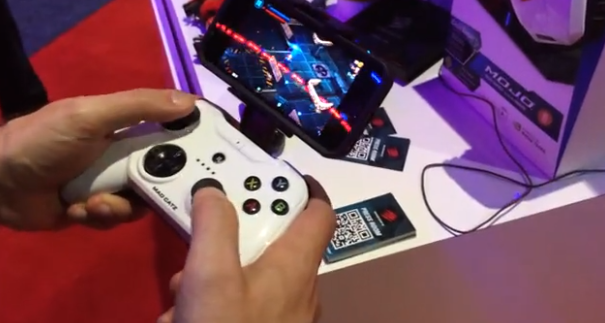 Touch Arcade has a nice roundup of the MFi game controllers showcased at E3, and here are some of them in action. If you find yourself getting all worked up and excited about getting your hands on them, don’t worry, you’re most likely not the only one. And that’s just the tip of the iceberg. See the entire hoard and more info at Touch Arcade. How do you feel about suddenly having a lot of choices for MFi game controllers? Controllers For All Allows You to Play iOS Games Using Your DualShock 3 Controller!